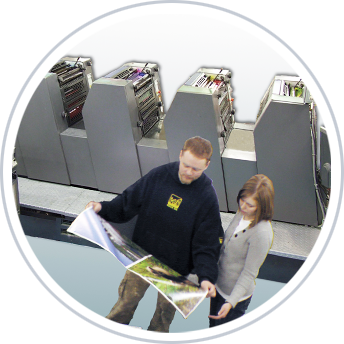 At Alaska Printing we run mostly Heidelberg presses, including a five-color, which are some of the finest and most trusted presses in the world. Our fully equipped bindery includes a Harris-Massey collator-stitcher-trimmer for magazines and booklets, a perfect binder for paperback books, and spiral binders. However, our equipment wouldn’t be much good without our talented employees who really take pride in their work. Learn more about our team by clicking on the link to meet our staff. Explore our site and enjoy your visit!